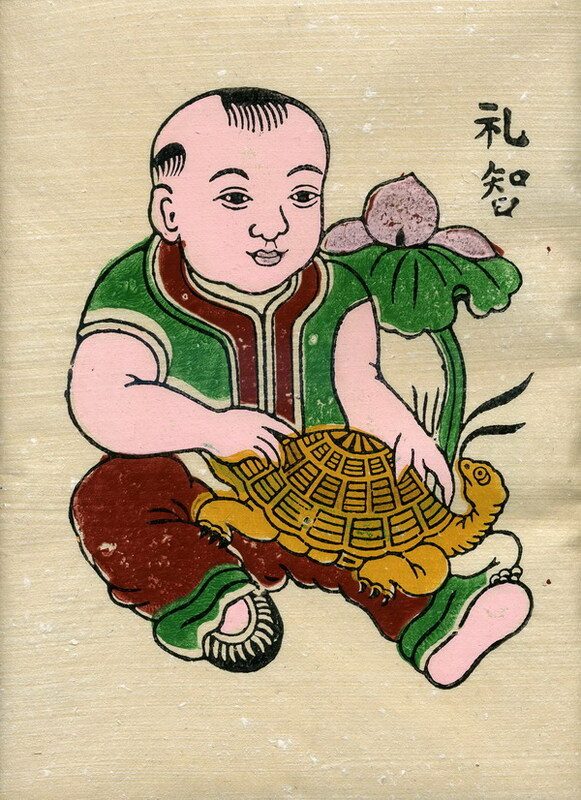 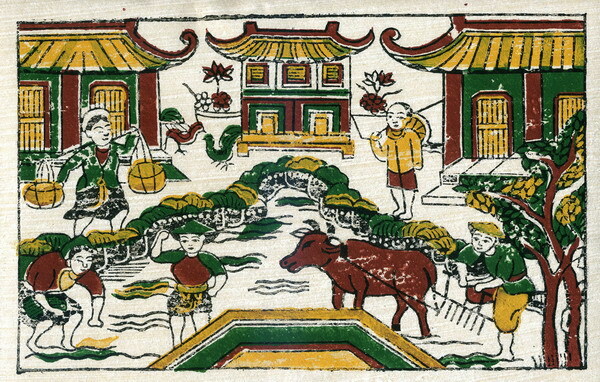 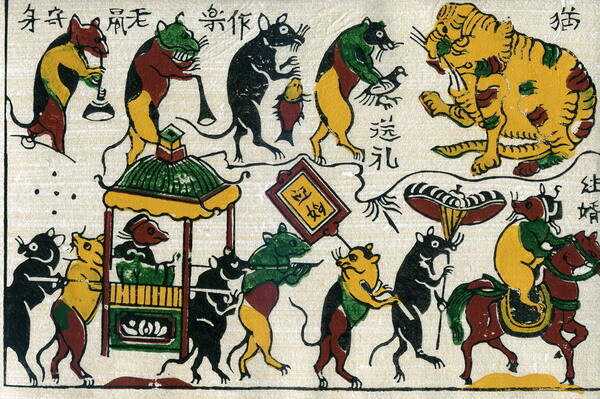 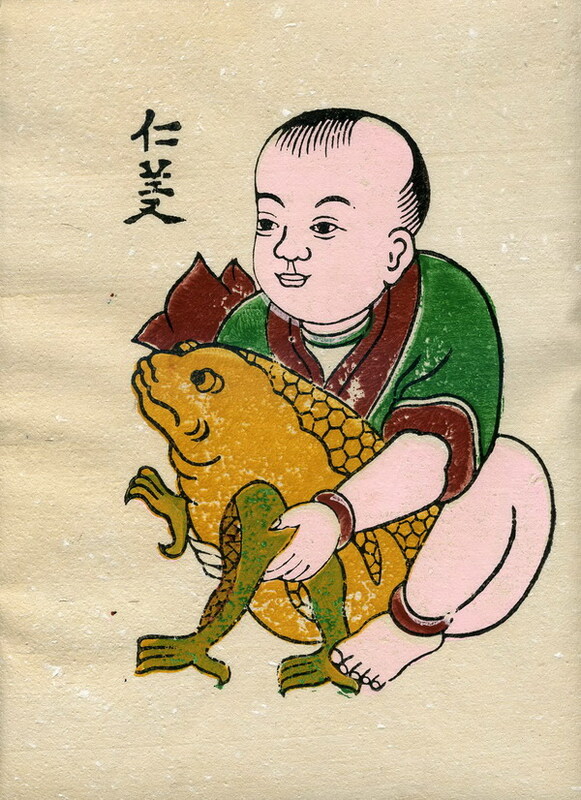 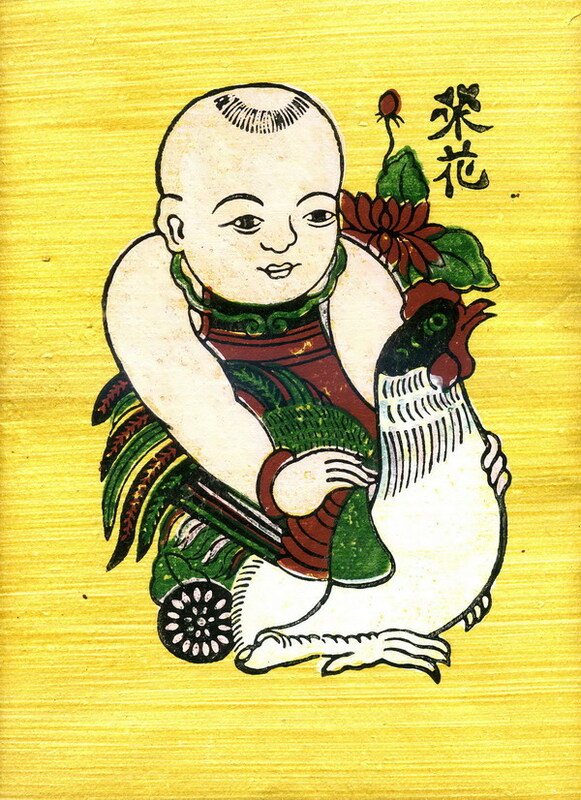 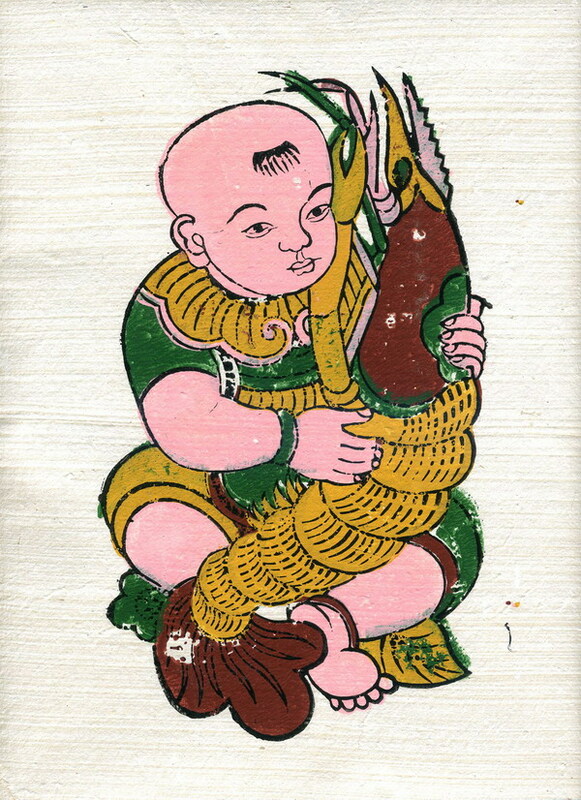 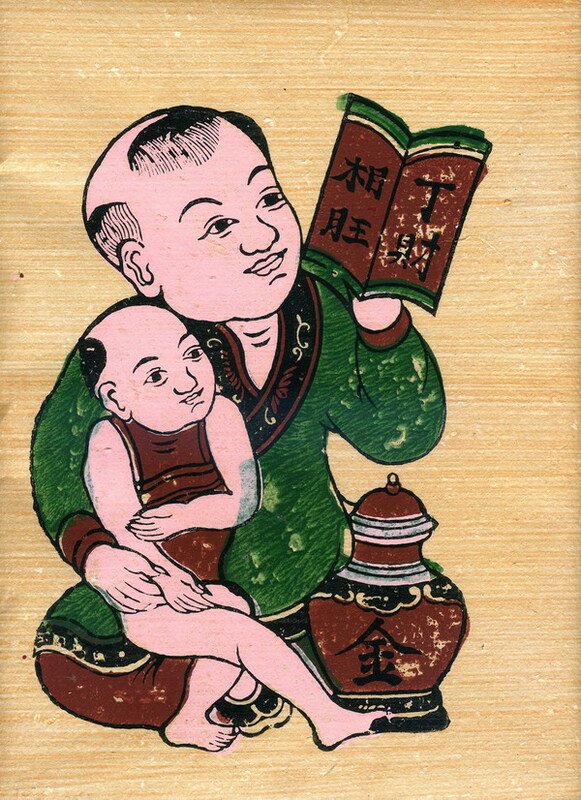 Dong Ho Painting (Tranh Đông Hồ in Vietnamese) or Vietnamese woodblock prints is a distinct Vietnamese folk art originating in Dong Ho Village, Song Ho Commune, Thuan Thanh district of Bac Ninh Province (north of Hanoi). 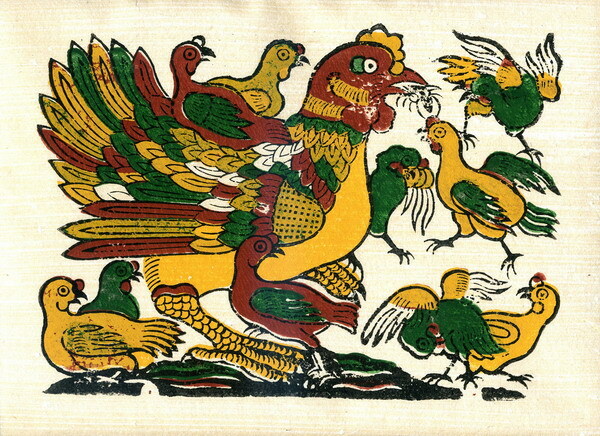 It is one of the most popular Vietnamese folk arts. 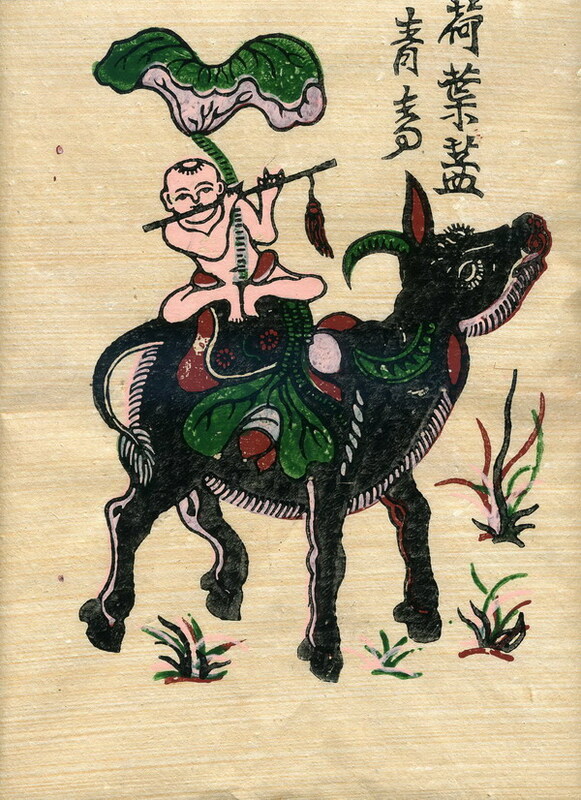 Dong Ho folk painting is very famous because Dong ho is the only village where people know to make the "Dzo" painting with completely natural materials. 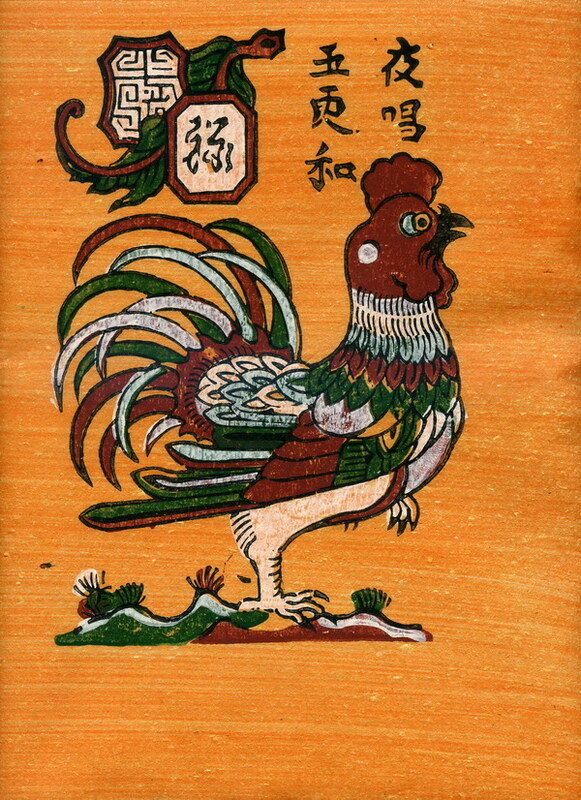 The printing paper is made of bark of a tree called "Dzo" The background paper is originally white. 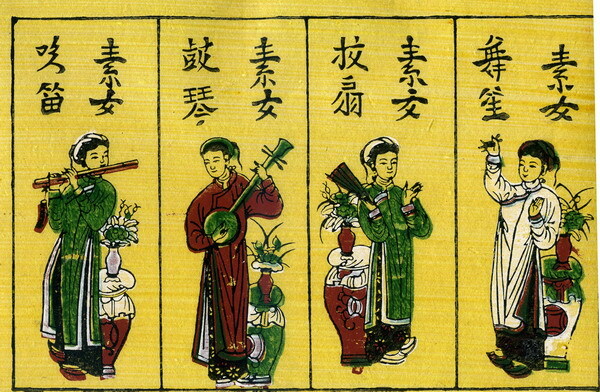 People use natural materials to change the colors of the papers which are usually orange, pink, yellow; purple ... 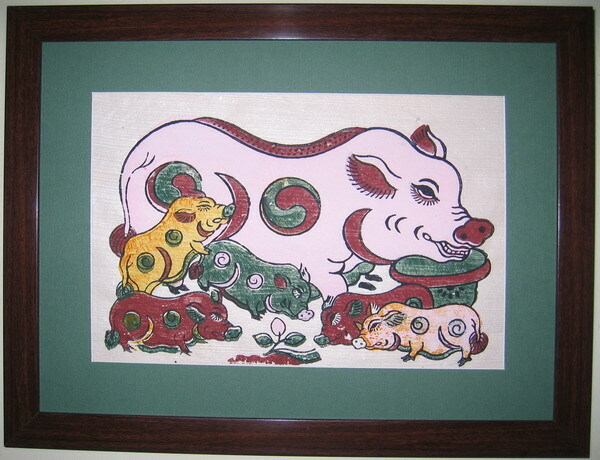 Colors of the painting are refined from various kinds of tree leaves that people can easily find in Vietnam. 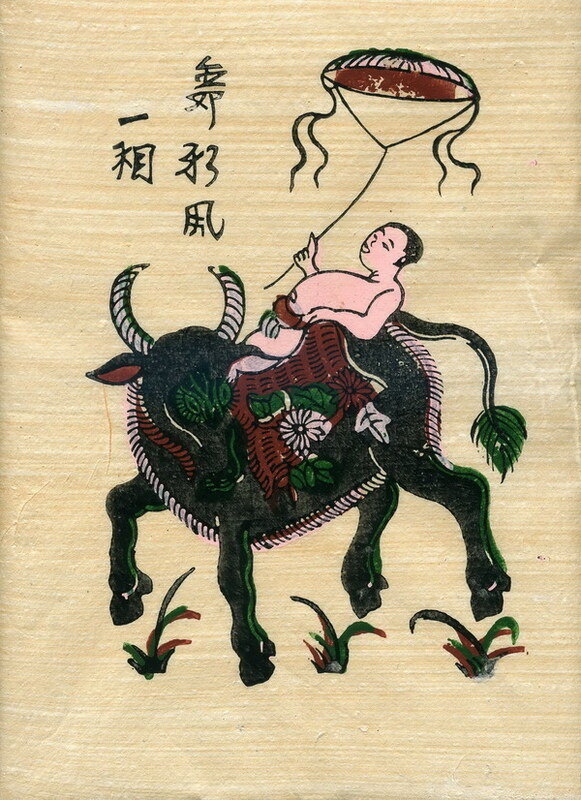 Particular, the red color is taken from earth of hills and mountains; the black color is from coal of burned bamboo's leaves; the glitter white color is made of sea shells; the original point of Dong Ho folk painting is the durability of colors. 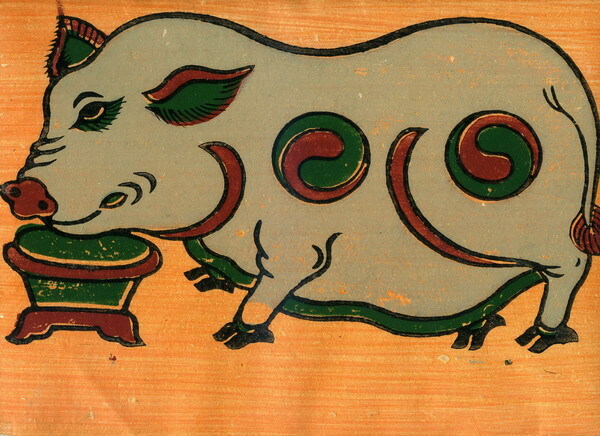 The painting is covered by a layer of sticky rice paste (called "ho nep") to protect the painting and their colors. 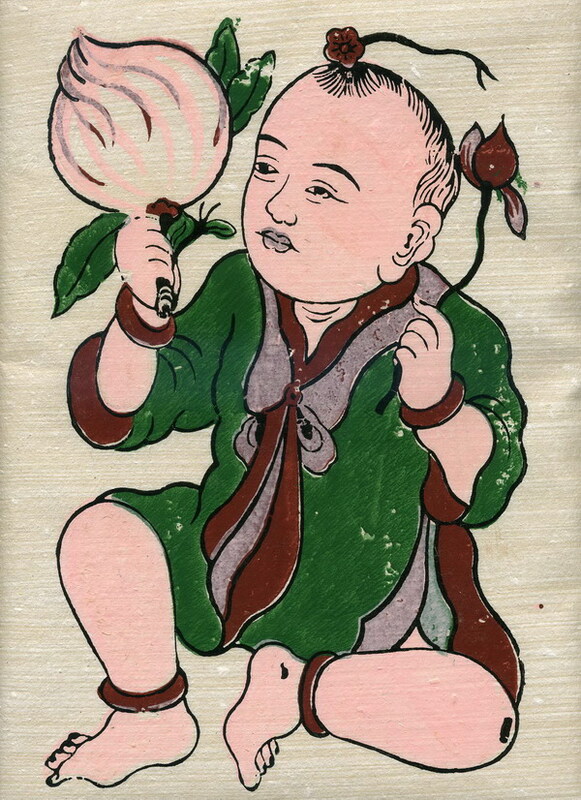 They are so long lasting, so that it is very difficult to make them dimmer even time or daylight. 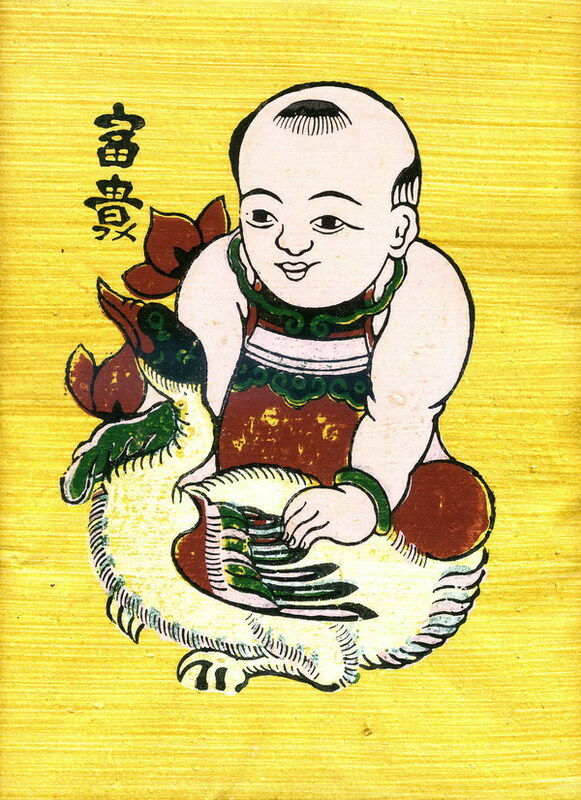 Dong Ho paintings reflect people’s innermost feelings, wishes, and simple dreams. 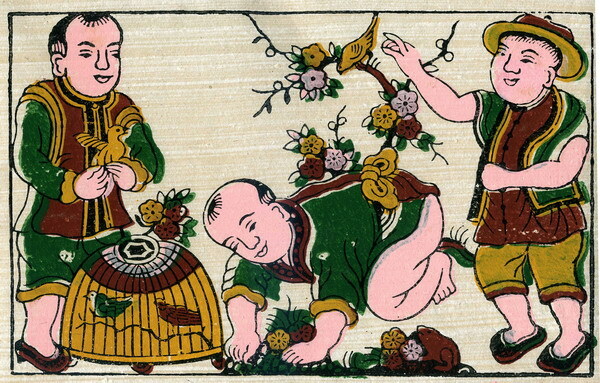 This is also our best wishes of health, prosperity to you, your family and your friends. 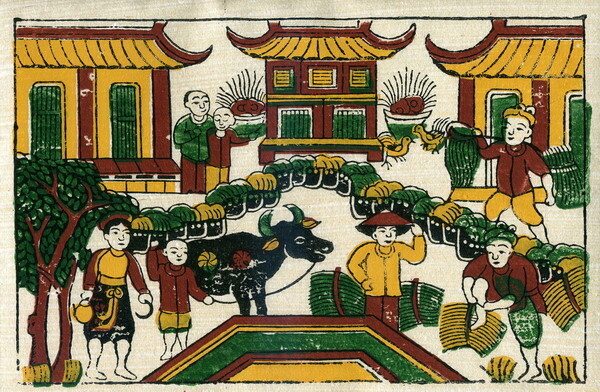 These paintings have been made by local households of Dong Ho village. 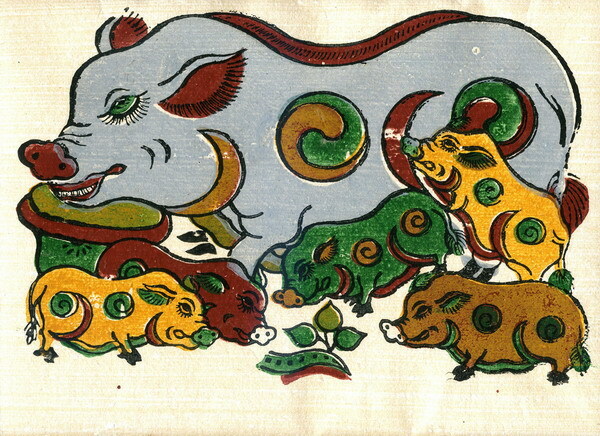 Promoting these products means creating jobs, generating incomes and preserving a traditional handicraft that make the village famous for hundred years. 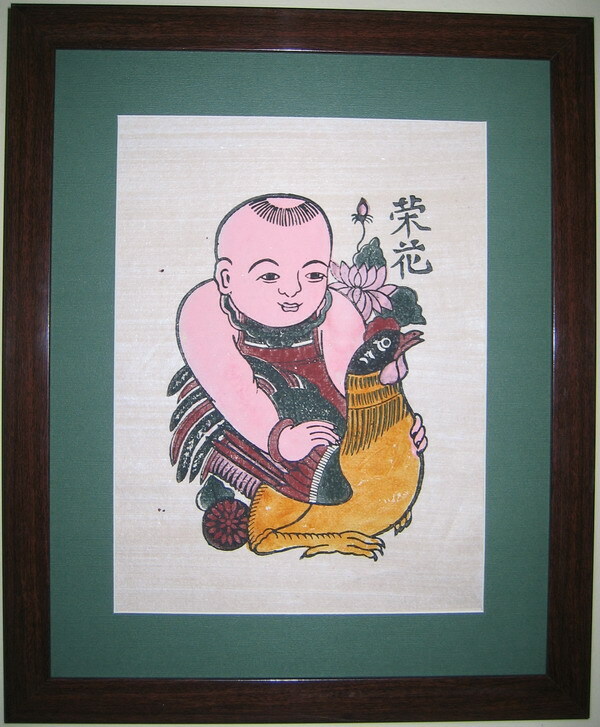 These paintings are given to our customers for free and without frame.